Ethan has directed the CAIC since 2005. He has approached snow and avalanches from both a practical and theoretical perspective. He grew up in Boulder skiing Colorado’s Front Range. After a few winters in the San Juan Mountains, he worked at Big Sky Ski Resort in Montana as a ski patroller and at the Forest Service Utah Avalanche Center in Salt Lake City as an avalanche forecaster. Ethan also studied meteorology at the University of Utah (BS) and snow drift formation at Colorado State University (MS). He has spent a lot of time looking at the microstructure of snow and its metamorphism in very large freezers in Colorado and Switzerland (PhD). 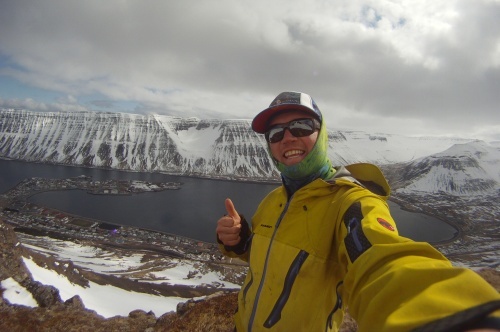 Ethan has published a variety of articles on snow, weather and avalanches and been a member of national and international working groups on snow and avalanche projects. Ethan lives in Leadville. Brian has been working in the field of snow and avalanches for the last couple decades. 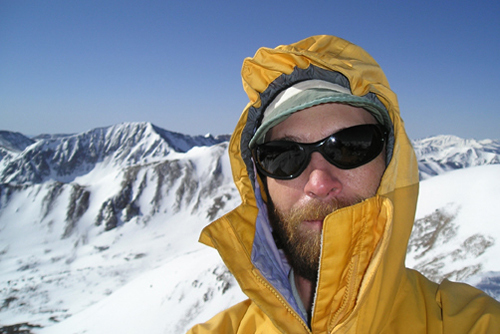 He began backcountry skiing in Colorado as a college student, and later as a mountain guide; and as an avalanche educator, curriculum developer, and as former Executive Director with the American Institute for Avalanche Research and Education (AIARE), and member of the American Avalanche Association Education Committee. 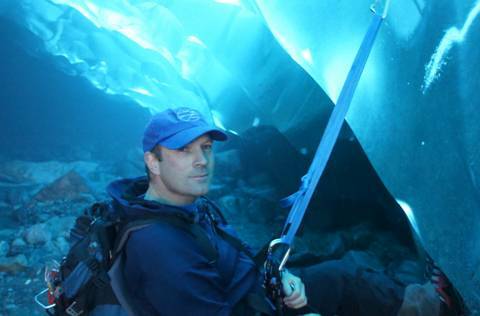 After a decade or so of guiding and teaching in a variety of snow climates on both sides of the equator, Brian returned to graduate school where he earned a MS in Engineering, studying snow and ice mechanics in Alaska’s Chugach, and conducting research at the Institute of Arctic and Alpine Research. 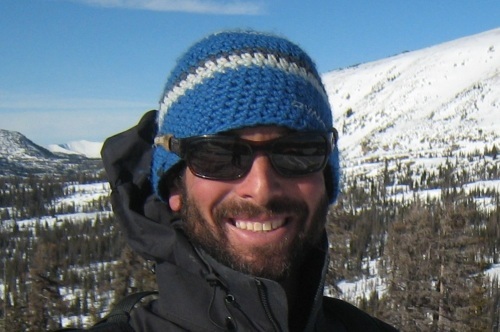 He worked for many years as a consultant to the ski industry, investigating snowpack runoff and potential changes to seasonal snowpacks as a result of climate change. Brian has been the Deputy Director of the CAIC since 2010. In the summers, you can find Brian complaining about the heat, planning his next trip to the snow, and trying to keep up with his wife Michelle on mountain bikes. 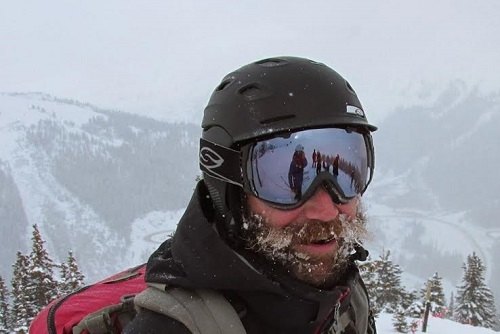 Mike “Coop” Cooperstein has been working in the mountains for the last 20 years. He began his snow career when he was 18 years old, as a ski patroller at Snowshoe in West Virginia. He soon moved to Bozeman, Montana, where he finished his undergraduate degree in Biology. He worked at the Yellowstone Club for 11 seasons as the assistant Snow Safety and Assistant Ski Patrol Director. 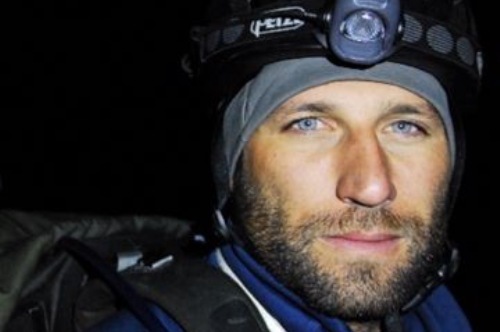 In 2008, he completed his master’s degree in Earth Sciences from Montana State University with a thesis on the “Effects of Slope Aspect on the Formation of Surface Hoar and Diurnally Recrystalized Near-Surface Faceted Crystals.” For the last 6 years, Coop has guided around the world for Andes Mountain Guides. Jeff grew up in Ohio and started skiing on the snow-covered landfills of Southern Michigan. Following a ski trip to Colorado, he was hooked on the Rocky Mountains and hung a map of the state above his bed. 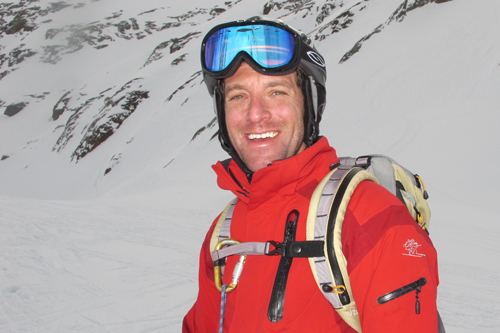 Jeff started his career in the ski industry after graduation from Ohio Wesleyan University. He patrolled in Southern Vermont for two seasons. He moved to Colorado and worked at Copper Mountain where his passion for snow, backcountry skiing, and avalanche mitigation took off. At Copper, he was a Terrain Management Foreman within the snow safety program. 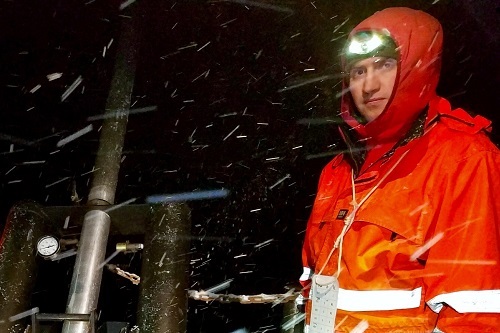 To broaden his knowledge of snow, Jeff spent three summers in the Southern Hemisphere patrolling and working with the snow safety team at Mount Hutt in New Zealand. 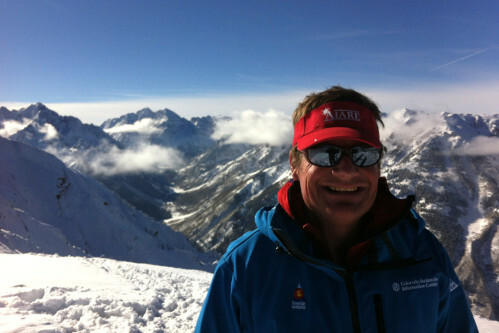 Most recently, Jeff held the position of Risk Manager for Telluride Ski and Golf. He is excited to share his passion for safety with the avalanche community. When not in the snow, Jeff enjoys riding his bike, playing hockey, working on his house in Sawpit, and spending time with family on Lake Michigan. Becs comes to the CAIC with a ski patrolling background. She began patrolling in the mid-nineties on Mt Ruapehu, a volcano located in the central plateau of New Zealand’s North Island. She went on to work at other resorts in New Zealand, Canada and the US. She worked 12 years at Arapahoe Basin in Colorado, first as an avalanche technician and later as Assistant Patrol Director. 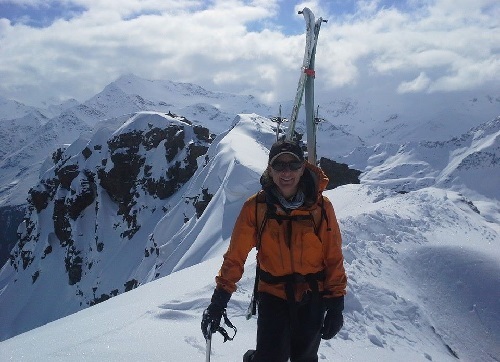 She holds a Bachelor of Science from Otago University finally completed the CAA L3 Applied Avalanche Risk Management course. Becs enjoys operational forecasting and the challenges of communicating on a much larger scale. Brandon grew up in the Vail Valley and is excited to work and raise his family in the mountains of Colorado. He worked as a highway avalanche forecaster for the Washington State Department of Transportation on US Highway 2 and Washington State Route 20 for the last eight seasons. He has also worked as a ski patroller in Colorado at Beaver Creek, in France at La Plagne, and in New Zealand at Craigieburn. Brandon recently relocated to the beautiful Roaring Fork Valley with his wife, daughter, and yellow lab. Spencer began skiing in northern Colorado and began learning about avalanches in northern Utah. 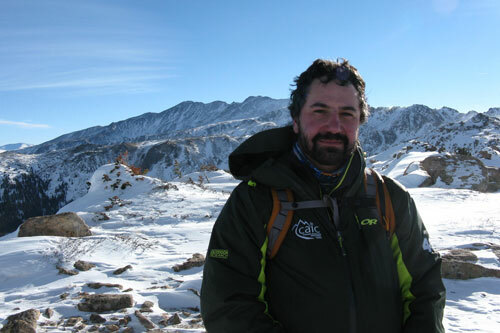 In southern Montana, his avalanche education continued with an MS in Earth Sciences from Montana State University. He joined the CAIC in 2004 and has maintained the CAIC’s accident database since 2007. 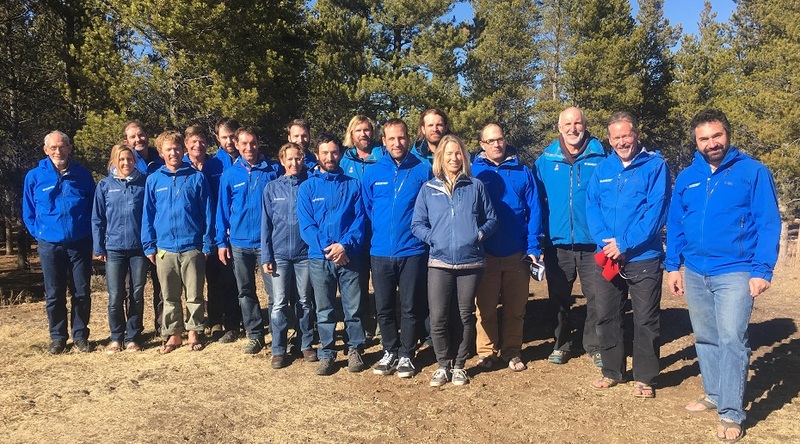 He has collaborated with colleagues from Colorado, North America, and Europe to better understand trends and patterns in avalanche accidents and occurrences. His sons are the fourth generation of the family to ski and the fifth to fish in Colorado. 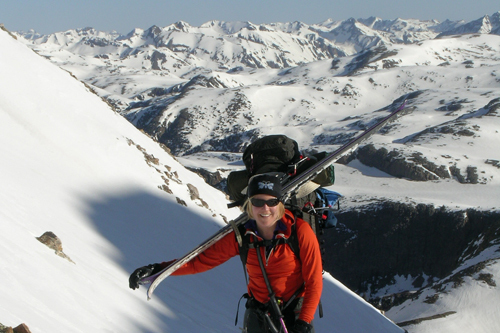 Ann has spent much of her avalanche career in Colorado’s San Juan Mountains. She began under the wing of a longtime forecaster in the late 90s and worked for a decade as an avalanche educator and mountain guide. She learned the intricacies of highway forecasting as an intern for the CAIC’s Silverton office and honed her weather forecasting and multi-tasking skills while working as a forecaster in the Boulder office. Ann then took over as the Northern San Juan backcountry forecaster before turning her focus back to highway forecasting. She now devotes her energy to keeping the Highway 550 and 145 corridors safe in the wintertime. Colin grew up in New England, and learned to ski in Vermont and upstate New York. In 1995, he moved to Colorado, and discovered powder skiing, big mountains, and climbing skins. 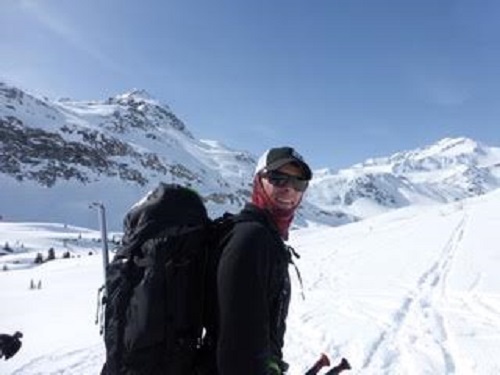 After spending more than a decade working as a ski patroller, avalanche forecaster, ski guide, and avalanche educator, he joined the CAIC in 2014. Avalanche work has taken him around the world, and he has worked in the Himalaya as Snow Safety Officer at Gulmarg Gondola, and in South America forecasting avalanches for the mining industry. During the Colorado summer, you can find him in Chile enjoying another ski season, and working on his Spanish. While Mark was living in North Lake Tahoe and working at Alpine Meadows, an interest in ski mountaineering led to an early encounter with an avalanche. A fortunate outcome left Mark with a keen desire to learn more about avalanches (and a permanent dent in his skull). A ski bum since graduating from high school, he patrolled at Squaw Valley, CA, becoming Patrol Director for 12 seasons. Mark moved to Pagosa to become a CAIC/CDOT highway avalanche forecaster. He and his wife Sandy, a seasoned avalanche professional herself, have played the avalanche game for many years. They own and operate Wolf Creek Backcountry, offering yurt-based backcountry skiing and avalanche education near Wolf Creek Pass. Mark loves skiing, road biking in the off-season, reading, drinking beer, learning foreign languages, traveling, and hopes one day to live in the Alps for a winter (or longer). Kreston is a Colorado native with a true passion for snow and skiing. He got his professional start working as a ski patroller at Beaver Creek, where he was lucky enough to go on exchange and play ski patroller in France for a season. It was in France where he got hooked on being in large-scale avalanche terrain and eating good cheese. Upon returning to Colorado, Kreston migrated north to Big Sky, Montana where he continued patrolling and blowing up snow. From there he returned to his roots in Colorado and transitioned into the guide and avalanche education world. Kreston has worked and taught for multiple mechanized and backcountry guiding operations throughout Colorado and Alaska. He was the Snow Safety Director for a cat skiing operation and has spent the last three winters heli ski guiding in Haines, Alaska. When not skiing or digging in the snow, he is still on the end of a shovel working for his landscape company or adventuring with his wife and trusty hound. 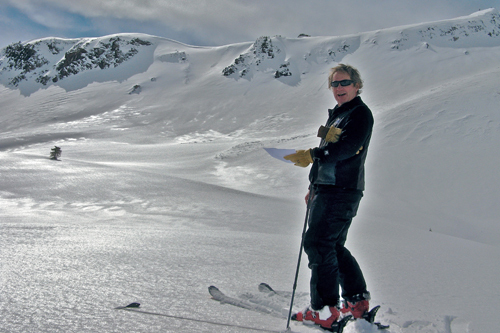 Ron has worked as a ski patroller and avalanche forecaster in Colorado, New Zealand and Alaska. In addition to his forecasting jobs, he has also collaborated with scientists from the US and Europe on applied research projects. Ron’s work includes the development of the Extended Column Test with Dr. Karl Birkeland as well as other avalanche forecasting tools. Ron enjoys spending time outside with his wife and two kids. John has a long history in forecasting and technology transfer. He received his Ph.D. in Atmospheric Science from Colorado State University and spent fourteen years working at NOAA’s Forecast Systems Laboratory. He has also worked as a consultant, developing weather forecast systems and mesoscale atmospheric models for several private and government groups. 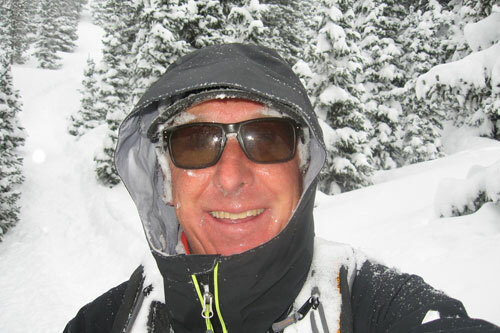 John is an avid backcountry skier and has been on the volunteer ski patrol at Arapahoe Basin Ski Area since 1985. Ryan grew up in Kansas and moved to Colorado in 2000 to pursue his graduate studies in biology. After finishing school, he did what any sensible biologist would do and got a job as a ski patroller. He ended up spending over a decade working as a patroller, including time at Eldora Mountain Resort, Arapahoe Basin, and a ski field in New Zealand. He has also worked as an avalanche forecaster in Chile, the Kurdistan Region of Iraq, and in Washington on Snoqualmie and Chinook Passes. Ryan’s other interests include photography, getting lost in the woods, and drinking unhealthy amounts of coffee.